Vista Las Palmas, Views, private pool, close to down town. 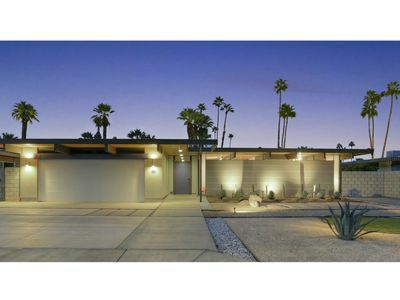 Do you love Midcentury modern? Then this is the home for you. This architectural home built by the Alexander Co, sits on a quiet street in the center of the famed Vista Las Palmas neighborhood. 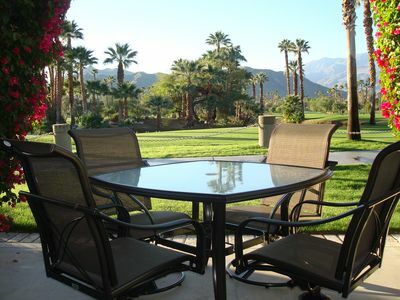 Enjoy beautiful views of the Palm Springs mountains from the south facing private yard. The 15 ft soaring butterfly ceiling, with exposed beam ceiling for added flair and walls of glass make this home fabulously light, bright and modern. 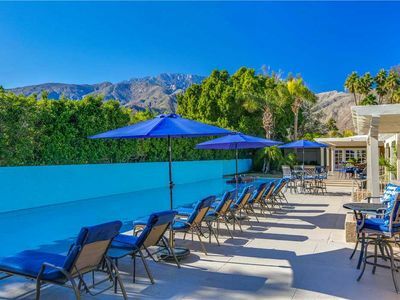 This Midcentury vacation home for rent is spacious,open and bright with a modern gas fireplace as the centerpiece. 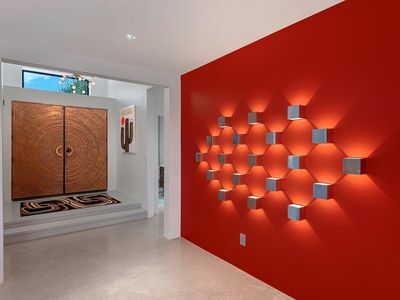 Custom modern furnishings and well planned designer lighting can be found throughout.The entire house features walls of glass and clerestory windows in all living spaces. This beautiful home was completely updated in 2016, using the highest quality materials and workmanship. Modern terrazzo tile floors are featured throughout the home. 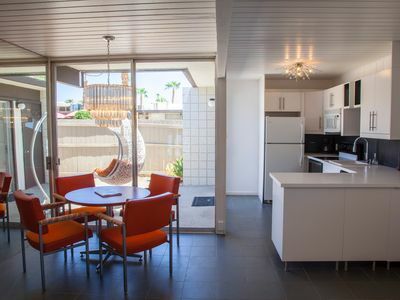 The expansive kitchen features a large caesarstone peninsula, breakfast area. and a fun peninsula bar with seating to enjoy quiet conversation, the views or a cocktail. The kitchen is fully equipped with all the appliances and utensils you would expect to find at home. 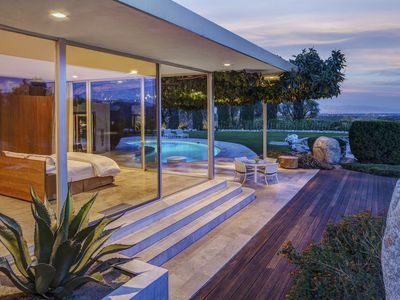 The master bedroom is spacious and features a King bed, private patio, modern ensuite bath with walk in shower. The two guest bedrooms feature king and queen beds and share a hall bath with walk in shower. 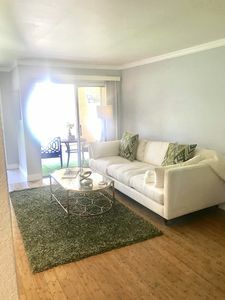 This fully restored house also features a large media room with bunk beds for added flexibility with a 32 inch TV and Play Station/DVD player. 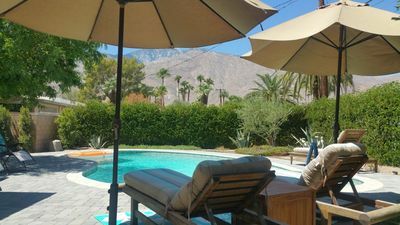 The enclosed backyard with sensational views, offers private sitting areas and dining areas, a large pool deck and expansive grass area. 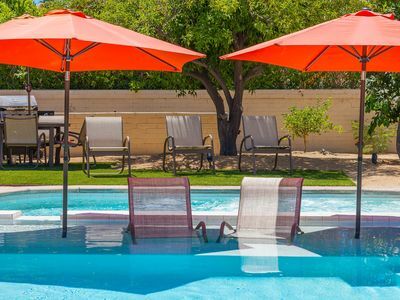 An outdoor BBQ island is also available for your enjoyment. 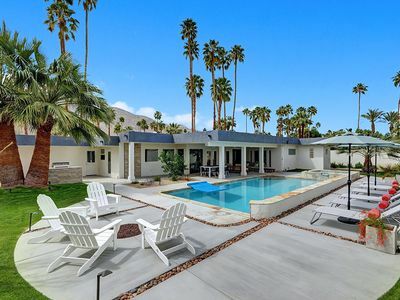 This Palm Springs home has been completely restored keeping its original appeal but adding all the modern comforts you would expect in today's modern homes. 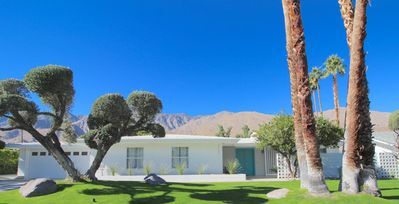 This is a spectacular house for the guest looking for the true Midcentury Palm Springs vacation experience. 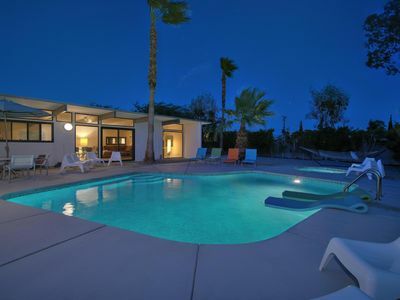 <b>Vista Las Palmas</b>Vista Las Palmas has become a symbol of Mid-Century Modern design for the distinctive homeowner who wants the relaxed lifestyle of the desert. 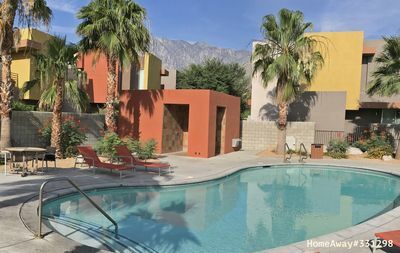 Owners include weekenders from nearby Los Angeles, part-time residents from a colder home base, to the full-time residents who desire year-round peaceful desert living. 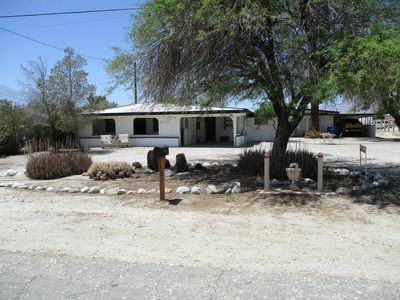 Residents share an interest in preserving the history and architecture that so perfectly complements the desert landscape. 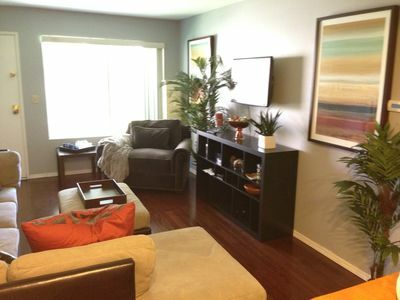 Outstanding modern amenities located walking distance to downtown. Upscale on Mesquite Fairway! 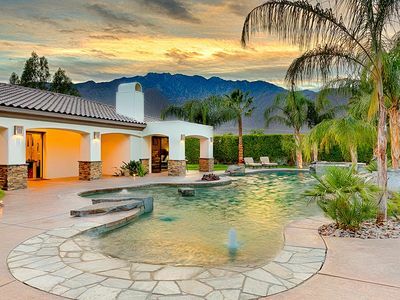 Incredible Golf/Mountain Views!! 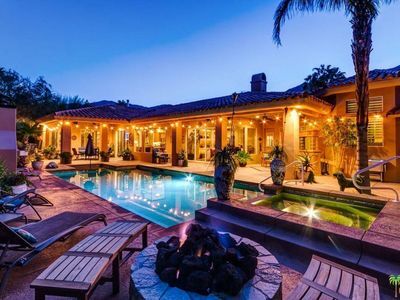 6 Bedrooms + Bonus Room + 7 bath celebrity home featuring our largest pool!